Plaid is actually an easy look to pull off when done right. This autumn’s go–to pattern is synonymous with the season and is versatile and timeless. Year after year, it never goes out of style. 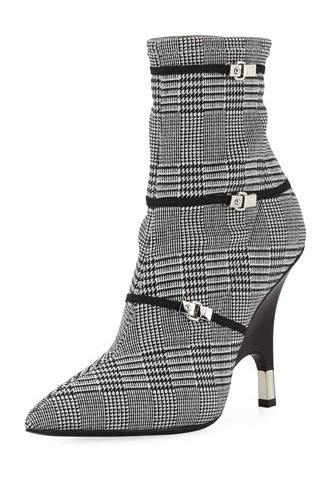 But this season, in a slight moment of fashion industry eccentricity, plaid has gone wild. In 2018, fashion magazines are telling us that it’s okay to mix and match patterns and styles in a zany, expressive way. Meanwhile, many of us wouldn’t dare, and we’d prefer to keep our plaid clean and classic. Either way, here are a few no-frills, effortless ways to wear plaid and look like perfection. Start with black and white plaid and then add a pop of color. Choose a starting piece in black or white, a pencil skirt, a blazer, or a dress. Then add some color to complete the look. 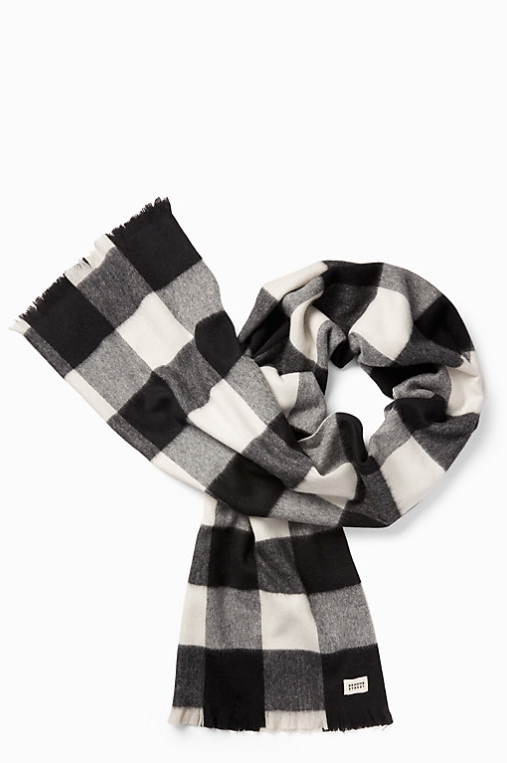 Luckily, black and white plaid offers almost limitless possibilities for color additions. Think a mustard yellow pea coat with a black and white dress or a red blazer with a plaid pencil skirt. 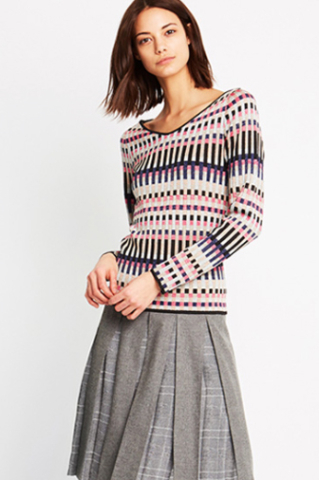 Carlisle’s design team has added the pop of color to black and white plaid for you in the DUNCAN skirt. Dark denim with a plaid shirt is a no-brainer, but the trick is to dress up this kind of ensemble. Plaid and denim can be incredibly casual, so in order to make this cozy fall outfit more suitable for work, choose a dressier plaid blouse and enhance the look with booties or heels and a structured bag. Accessories can add to the tone of an outfit and in this case, we can spruce up an otherwise casual outfit into a work-ready one. 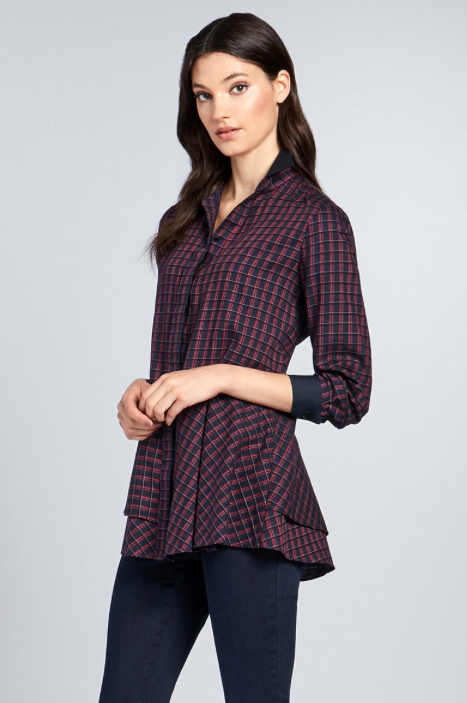 A dressier plaid blouse to pair with your denim from the Carlisle winter collection is the TORIAN blouse (see below). Plaid and denim is a classic fall favorite but without denim, plaid can be downright refined. 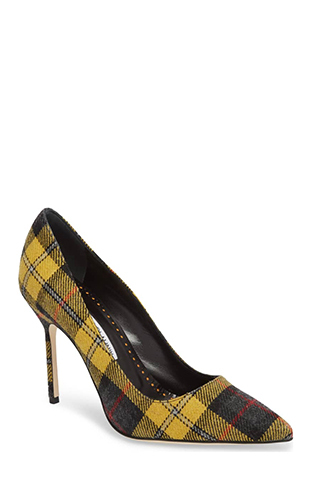 A plaid sheath dress, a black blazer, and black pumps is the definition of a polished autumn look. Plaid often comes in neutral colors like grays, whites, and blacks. So, plaid is quite versatile. In order to brighten up plaid pair it with stunning gem tone for an instantly glam look. A dark gray plaid skirt with a bright cranberry, rich teal, or goldenrod yellow will make a powerful statement. Here we’re pairing STORM, our wool flannel box pleated skirt (note the subtle plaid silk georgette inlays) with NOTTINGHAM an abstract geometric sweater in a mix of fall color. So, the trend as of now is mixing plaids, patterns, and more. I’m not advocating for the possibility of a treacherous fashion faux pas but in honor of the recent trend, I’m going to say there is a possibility of mixing plaids while keeping our composure. 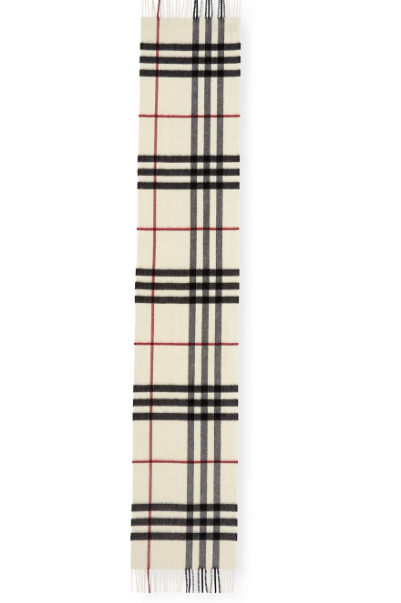 Here’s how to do it: Instead of mixing plaids by color, mix plaids by fabric. 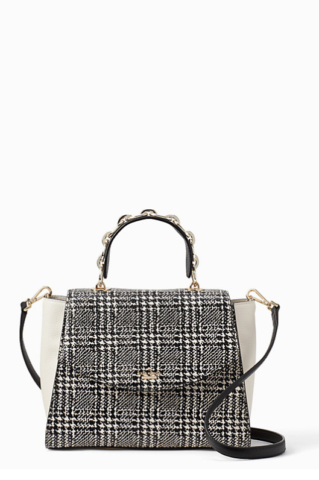 For example, add a plaid woolen scarf to an outfit and a plaid nylon tote bag. 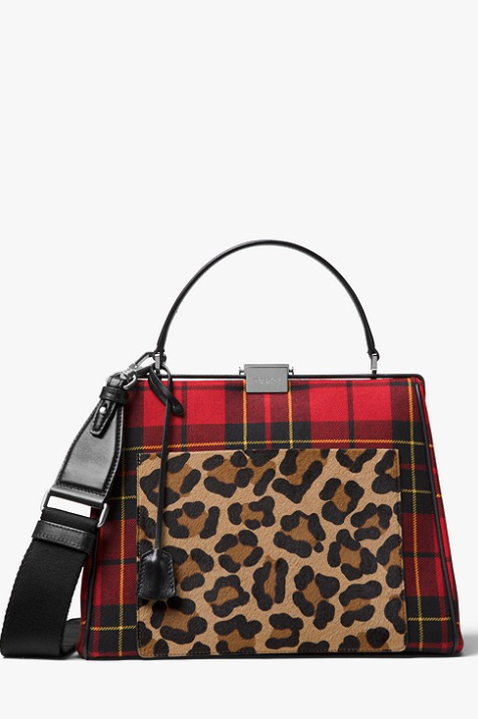 Both accessories should be in the same color family, for example, both in shades of deep red plaid. When we pair STORM with CAMDEN we’re combining wool flannel with soft double georgette to create a soft feminine and chic look. Dare to wear a plaid suit. Plaid from head to toe can make a statement of elegance and refinement. This fall, pants suits and midi skirts with blazers come in a variety of plaid colors and fabrics. Carlisle’s CORNWALL cape and pant when worn together make a beautiful statement. Maybe, statement-making plaid is too much for you, don’t lose hope, this season you’ll find plaid in many accessories that will give you a small touch of this brilliant trend. Enjoy this trend and remember, whether you’re up for the plaid trend or not, I’m here to help you build a wardrobe that suits your style and body type. Get in touch!